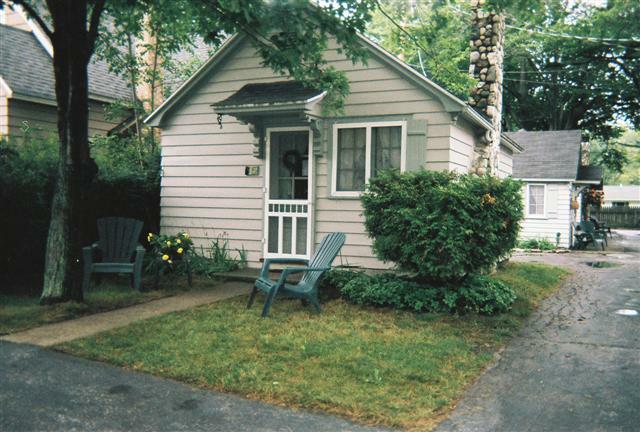 This cottage is decorated in a manner unique to Ludington, the combination of the Ludington Car Ferry and Lighthouses give it a local touch. 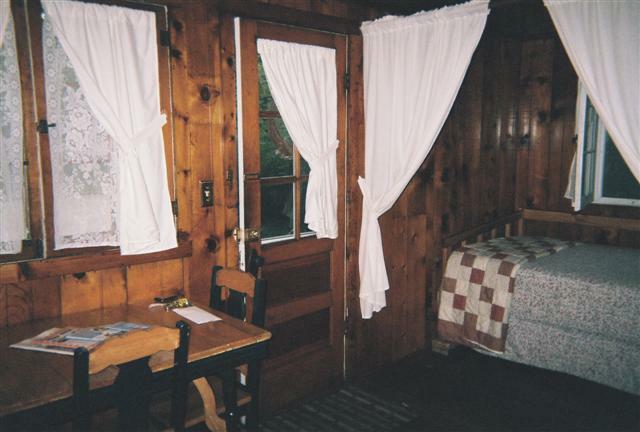 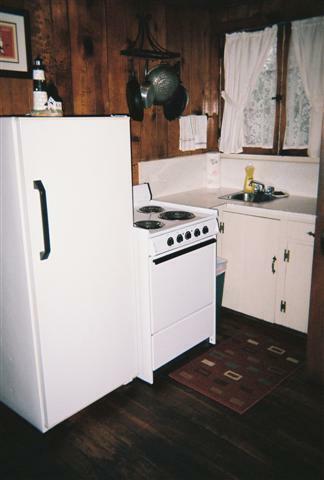 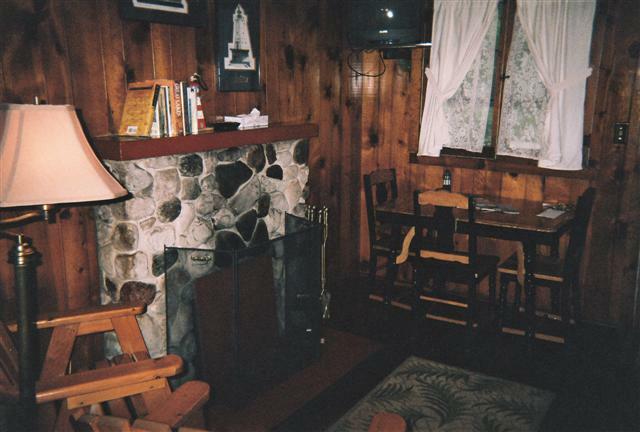 The knotty pine interior and field-stone fireplace are accented by the original wood flooring. 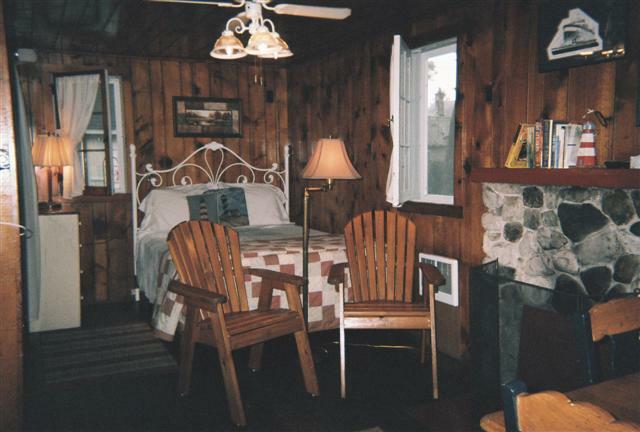 The main room holds a queen bed with a separate alcove for the daybed (two single beds) with curtains for privacy. 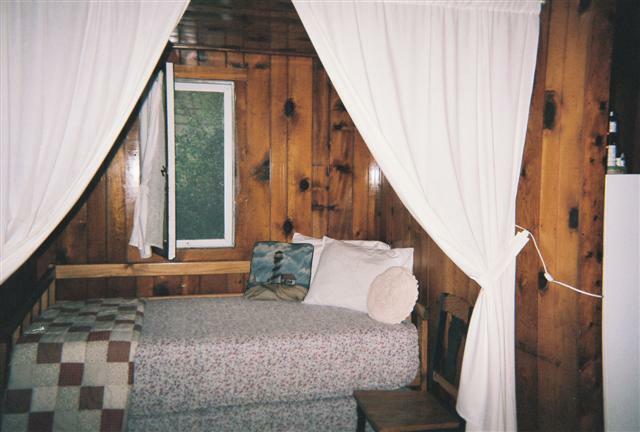 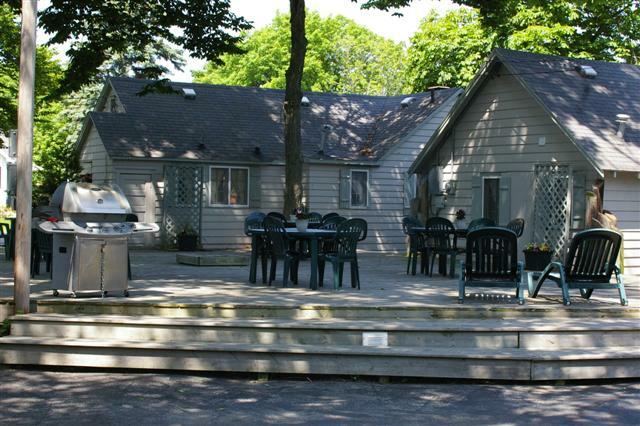 A full kitchen, bathroom with tile shower, television and all linens and towels are included.